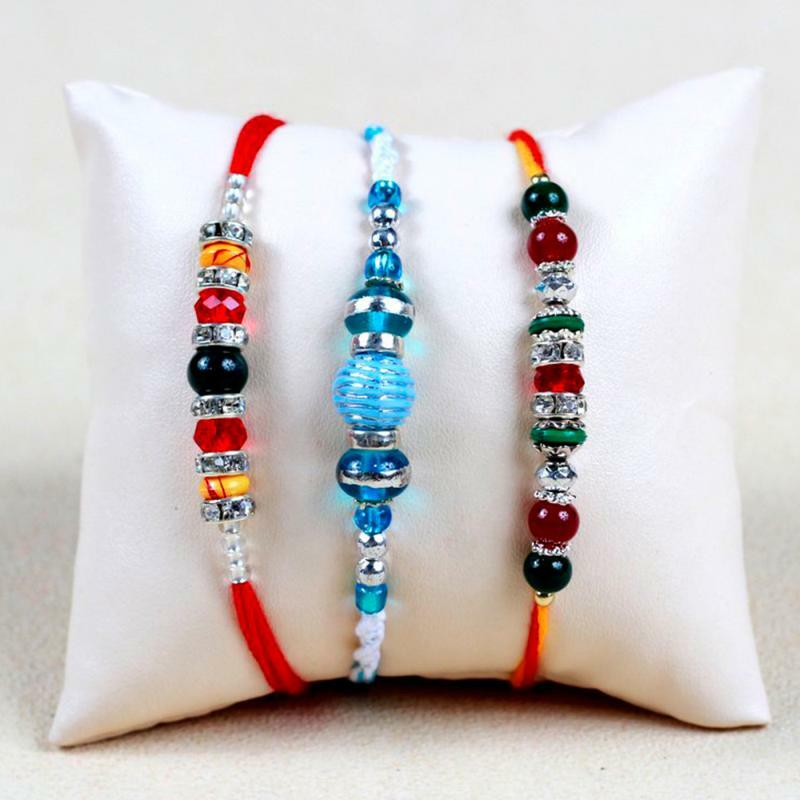 Express your feeling and to show loving gestures towards your brother. 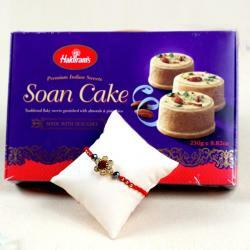 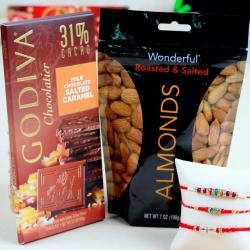 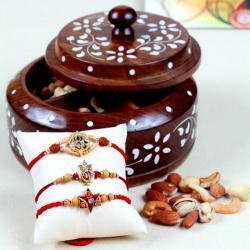 This lovely rakhi combo is the perfect gift option for this Rakhi. 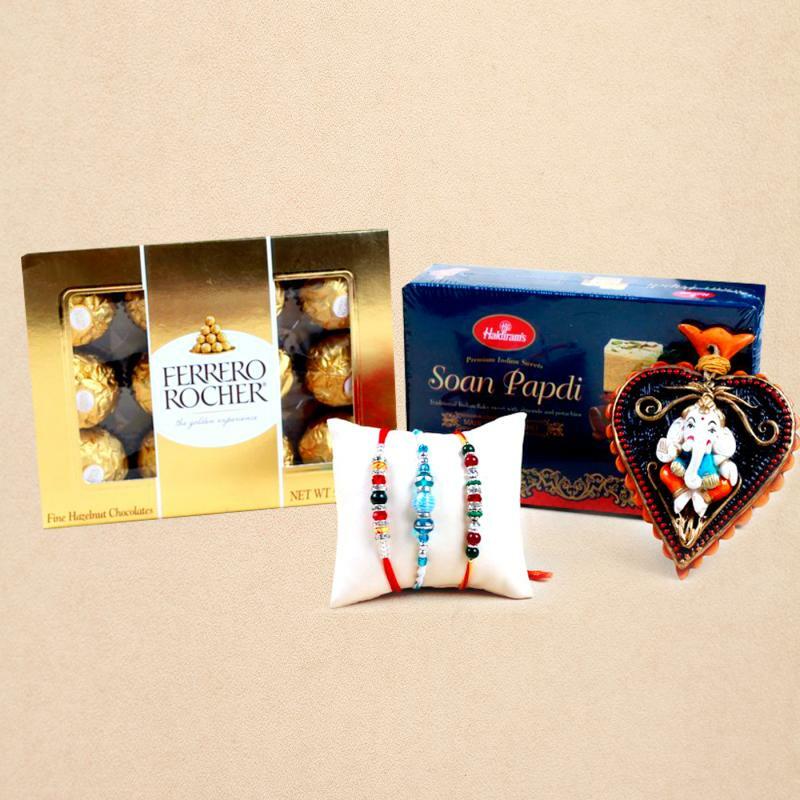 This combo contains three astonishing multicolor pearl work bhaiya rakhis, a box of your favorite Ferrero Rocher Chocolates, Haldirams Soan Papdi and an elegant patta shaped Ganesha wall hanging. 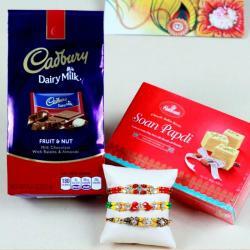 Let your brother in USA know how much you love and adore him Product Details: Set of 3 Rakhis with Ferrero Rocher, haldiram Soan Papdi and Patta Ganesh Wall Hanging.